Abstract: Airwheel mars rover with the core concept of honesty, modesty, simplicity, vigour and innovation has been known by more and more riders. Airwheel Z5 2-wheeled electric scooter in rider-oriented design has been well received proved by the last year's sales. Honesty refers to its words match with deeds. Simplify Airwheel products for better comprehension and user's experience. Vigour refers to that they dare to face challenge and take action. Airwheel embraces the ever-changing world and explore the unknown future with one step ahead of competitors. 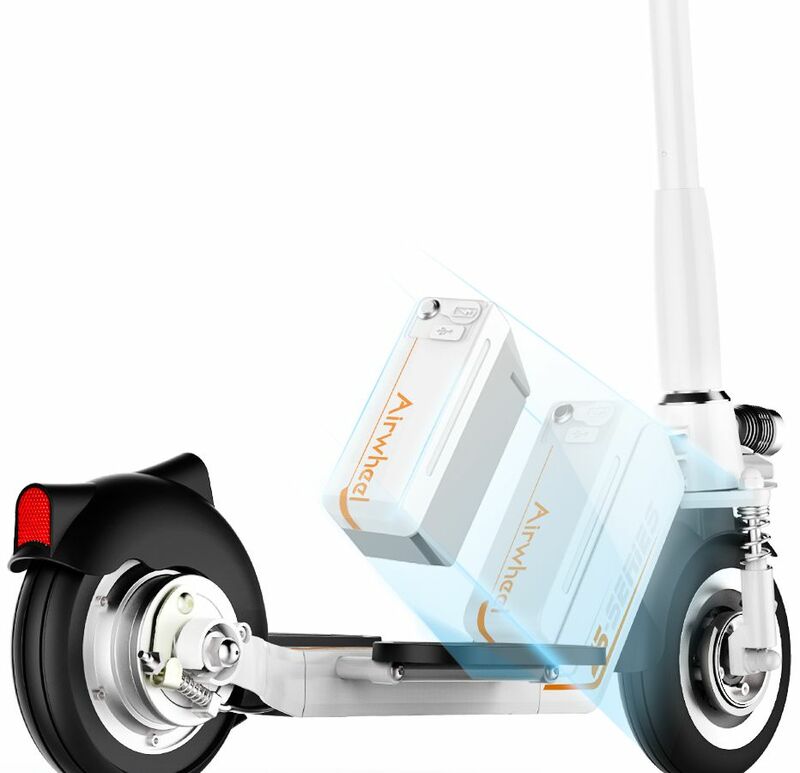 Airwheel Z5 mini electric scooter is in rider-oriented design. To begin with, the anterior standing posture can reduce the burden of legs. Since the standing area becomes large enough, riders' foot can stand on the pedals more freely and comfortably. Speaking of the foldable pedals, the triple folding system is to be discussed. Triple folding system of Airwheel Z5 enables it can be easily carried into the elevator, subway, bus, or stored in a car trunk. The folded Z5 can be easily stored in home, workshop and trunk. Then, the modular battery design, which follows the original products, design concept and the high-efficiency USB supply interface that can be connected with riders' daily intelligent devices like phones, Tablets or SRLs and so on. Also, Z5 electric scooter can be connected to riders' mobile phones. The exclusive Airwheel app is developed to learn the real-time riding condition, such as the speed, residual capacity, track, mileage, etc. Moreover, With the App, riders can check the malfunction to simplify the process of maintenance. Lastly but not least, Airwheel Z5 lays emphasis on riding safety. It is equipped with automatic light, based on lighting system to facilitate the understanding of road conditions. With brake assist systems, riders can increase the brake force to shorten braking distance. Z5 folding electric scooter installs dual shock mitigation systems so that it can conquer various road conditions to let riders ride smoothly gracefully. To conclude, the design of Airwheel Z5 is people-oriented in order to bring a more comfortable riding experience to riders.